Sisters Laura & Kate Mulleavy translated raw materials into ethereal, distorted reality RTW apparel this New York Fashion Week while debuting their Fall 2014 line. 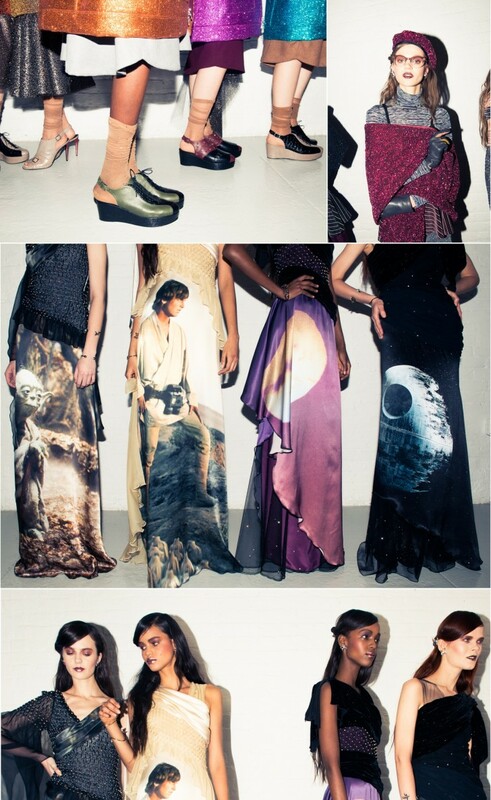 Some of the key pieces were draping dresses with smocked and crochet details, and the standout pieces were definitely the Star Wars inspired dresses, emblazoned with Luke Skywalker and R2D2. What are your thoughts on Rodarte’s Fall 2014 collection?